Seton Hall law professor Mark Denbeaux supervised the report issued this morning examining the Defense Department's investigation of the three deaths that occurred at Gitmo the night of June 9-10, 2006. (See main story: "Law School Study Finds Evidence Of Cover-Up After Three Alleged Suicides At Guantanamo In 2006"). Q: The Seton Hall study refrains from stating a conclusion that the three prisoner deaths in Gitmo in June 2006 were homicides, but it's obviously very skeptical of the military investigation's conclusions that they were suicides. Why the equivocation on this point? A: During August of 2006, we published June 10th Suicides at Guantanamo: Government Words and Deeds Compared." In February 2009, we decided to revisit the question. Due to the fact that the NCIS [Naval Criminal Investigative Service] and the CITF [Criminal Investigation Task Force] spent over two years investigating the suicides, we expected that the investigation would have produced findings of the event that were highly transparent and conclusive. As our report shows, this did not occur. Our report, "Death in Camp Delta," presents what the military investigation found. The military investigation does an amazingly poor job of explaining what happened that night, and some of its conclusions appear to be contraindicated by its own factual findings. Q: Do you think it's physically possible for a prisoner to have committed suicide the way the military report describes -- binding his own hands and feet, stuffing cloth down his throat, and hanging himself from the metal mesh of a cell? A: It's hard to imagine that one person without extraordinary skills could do it. It's inconceivable that three prisoners could do this without anyone noticing it -- that in any event reflects my lack of imagination. We would have assumed that investigators would have run simulations or contacted experts. The NCIS investigation did not address this question, or if it did it was discussed in the portion of the report that has been redacted. It is difficult to grasp how one would commit suicide by hanging given the material available to the prisoners, but because the NCIS investigation did not ask this question, neither did the study. Q: Administration spokesmen and senior figures at Gitmo rushed to label the deaths as "suicides" and then went the next step, attacking the deceased prisoners. In your mind, was there any basis for these claims? Did they orient the military investigation, by putting pressure on it to justify the conclusions that had already been offered up the chain of command? A: This question goes far beyond the scope of the study, which was to examine the NCIS investigation through a careful review of its documentation. But in light of the failure of even a lengthy investigation to resolve many of the questions, the early and definitive statements regarding the deaths seem unwise. Q: Why do you think the investigators issued formal warnings to the Alpha Block guards, NCO and platoon leader? Can you understand why such warnings would have been issued without any recommendations for disciplinary action? A: We do not know the answers to these questions. The NCIS investigation does not explain what the formal warnings were, nor why they were issued. Q: Are there any facts that you see in the first two days after the deaths that point to an effort to coordinate an official account for the deaths? Should the investigators have probed into this? A: We know of no evidence of coordinated, official accounts. The question goes beyond the scope of the report which merely reports what the NCIS did and found. There were clearly many statements made by government officials beginning on the early morning of June 10 and continuing for the next ten days. The statements were consistent with each other and with the findings of the NCIS report. Q: You conclude that the military investigators have no meaningful evidence for their claims of conspiracy, but they point to the existence of what might be suicide notes. Why don't you find that persuasive, and what evidence did you see that points in the opposite direction? A: The "suicide notes" are consistent with the government's determination that the prisoners did commit suicide. But even the investigators seemed somewhat unclear whether the documents were, in fact, suicide notes perhaps because the language used is often used self-descriptively by detainees. In any event, the notes do not answer why the NCIS investigation was so flawed. Q: You conclude that the military investigators reached conclusions that are unsupported by evidence and that they established other facts which they then ignore, failing to draw conclusions from them. Can you give some examples of each? Why would they do this? •	There is no explanation of how three bodies could have hung in cells for at least two hours while the cells were under constant supervision and by guards continually walking the corridors guarding only 28 detainees. •	The original military press releases did not report that the detainees had been dead for more than two hours when they were discovered, nor that rigor mortis had set in by the time of discovery. •	The initial military press releases did not report that, when the detainees' bodies arrived at the clinic, it was determined that each had a rag obstructing his throat. •	There is no explanation of why the Alpha Block guards were advised that they were suspected of making false statements or failing to obey direct orders. •	There is no explanation of why the guards were ordered not to provide sworn statements about what happened that night. •	There is no explanation of why no one was disciplined for acts or failures to act that night. Q: The military investigative file, as released, was heavily redacted. What's your attitude towards the redactions -- do you suspect that some were not done in good faith? Isn't it possible that with the full, unredacted report, some of the issues you raise would be answered? A:	It is impossible to know why certain portions of documents are redacted. The effect of the redactions was to make it very difficult to piece together the report and to prevent anyone from knowing what information exactly the report contains. As to your second question, it is certainly possible that some of the issues raised by our report might be addressed by the full report, but it is highly unlikely that the full NCIS report, no matter what information it might also include, will fully address the problems with the publicly released version of the report. Q: If the Obama Administration arranges a new investigation, who in your mind should do it -- the military, the FBI? A: We do not know who would be the best entity to properly investigate the NCIS investigation. Obviously NCIS should not investigate NCIS's own work. Q: With the passage of three and a half more years, will it still be possible to do a proper investigation? A: Yes. Some physical evidence may have disappeared but most of the individuals concerned are still alive. Q: Another prisoner, Abdullah Saleh Al Hanashi, died this June. The Pentagon was quick to label this death a suicide as well, but it has kept the facts enshrouded in extraordinary secrecy. Have you looked at this case? Scott Horton is a contributing editor at Harper's Magazine, where he writes on law and national security issues, an adjunct professor at Columbia Law School, where he teaches international private law and the law of armed conflict, and a frequent contributor to the Huffington Post. A life-long human rights advocate, Scott served as counsel to Andrei Sakharov and Elena Bonner, among other activists in the former Soviet Union. He is a co-founder of the American University in Central Asia, where he currently serves as a trustee. 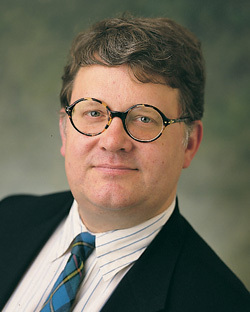 Scott recently led a number of studies of issues associated with the conduct of the war on terror, including the introduction of highly coercive interrogation techniques and the program of extraordinary renditions for the New York City Bar Association, where he has chaired several committees, including, most recently, the Committee on International Law. He is also an associate of the Harriman Institute at Columbia University, a member of the board of the National Institute of Military Justice, Center on Law and Security of NYU Law School, the EurasiaGroup and the American Branch of the International Law Association and a member of the Council on Foreign Relations. He co-authored a recent study on legal accountability for private military contractors, Private Security Contractors at War. He appeared at an expert witness for the House Judiciary Committee three times in the past two years testifying on the legal status of private military contractors and the program of extraordinary renditions and also testified as an expert on renditions issue before an investigatory commission of the European Parliament.